Siol.net is top-of-mind anywhere and anytime, with the average visit duration of over 70 minutes per month. Achieve better sales and brand awareness with content marketing solutions. Reach aboveaverage target audiences with higher education and purchasing power. We offer you the latest digital ad formats, ad positions with top visibility and effective custom-made solutions. 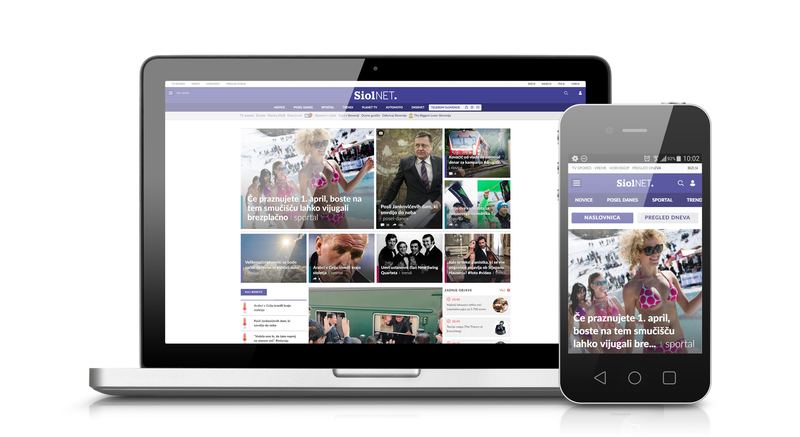 Siol.net attracts over 590,000 unique users per month and is the 1st most visited Slovenian website (according to MOSS). QUALITY AND INTERESTING CONTENT ATTRACTS OVER 585,000 USERS PER MONTH. ADVERTISE ON SIOL.NET AND PRESENT YOUR PRODUCTS AND SERVICES TO ABOVE AVERAGE TARGET GROUPS WITH HIGHER EDUCATION AND PURCHASING POWER. SIOL.NET OFFERS YOU THE LATEST ADVERTISING FORMATS, WHICH ENABLE YOU TO REACH ALL OF YOUR OBJECTIVES. YOU CAN CHOOSE AMONG STANDARD AND PREMIUM DISPLAY ADVERTISING, CONTENT AND DIRECT MARKETING. ARE YOU INTERESTED IN ADVERTISING ON SIOL.NET?